For Truecrypt 6.2, nothing much has changed from the Truecrypt 6.1 install process except for the line numbers that need to be modified to make the source compile correctly. You might also need the following packages if you haven't installed them already. 5.1 Open Common/SecurityToken.cpp in your favourite editor. 6. TrueCrypt is now compiled. You can find the executable inside the folder titled 'Main'. You might want to make it available from your bin directory for easy access. Thanks man - works good. I can mount a file, type in the admin password, but then I get the message "Bad file descriptor". Any idea where this might be coming from? I even created a new TrueCrypt file, which worked fine, but I couldn't open it...same error message. Thanks for the help. Thanks for the helpful post -- you saved me hours of work. BRILLIANT! Generous people like you are what make Linux possible for newbies like me -- THANK YOU. Thanks for the comments. I was moving houses so couldn't get online for a while to answer any questions. Sorry about that. @Anonymous with Bad file descriptor error. I am not sure what's causing this TBH. When you created the TrueCrypt container, which file system did you use to format it ? I think this problem is caused by you not having the right fuse drivers for the file system you created. Can't say more without knowing more about your setup. Sorry. Preface: I've developed s/w on both Windows and Linux for about 10 year now. This is a contributing factor on why Linux will never catch up to ms: on ms (XP), I dl Truecrypt, install it, and run it - simple and clean, no caffeine; on Linux (Fedora 11), I follow these instructions and get a boatload of SecurityToken.h problems. I have to search to find the trouble source: a site mentions I have to: "Download RSA Security Inc. PKCS #11 Cryptographic Token Interface files" (aka, header files). Fantastic. Btw, on Ubuntu, with an additional source list entry, installation was successful. I've been a supporter of Linux for quite a while now but this type of scenario is all too common: either the documentation (seemingly course par for open source s/w) is woefully lacking (read: we'll publish a book to make some coin) or the install requires jumping thru hoops 1, 2, 3 and possibly 4 (and maybe 5 if you're unfortunate). As much as the open source world of operating systems clouts, so too often do they cloud they're own path of adoption. Stop whining and help fix it. When I first became interested in Linux a few years ago, it took at least a couple of days to install and correctly configure everything to just get a working desktop. Now I just pop the DVD in and in less than half an hour, I have a fully working desktop. No manual intervention required. Now that's progress! But to be realistic, yes - the majority of users are not techies AND they have been brain washed in to the Windows way. It would be great if Linux can become a viable alternative for them. BUT should that be the ultimate goal that the Linux community should aim for ? Absolutely not !! Hi, just installed on fedora 11 with only kde (4.3) do you think that may I have problems? I know that truecrypt it's based on gnome system, is this true? That being said, the only way to find out for sure is to try to install it. :) Please post back here with your findings. ok, infact installed on F11 with only kde (4.3) and all (at the moment) works like a charm. I've just installed on Fedora 11 64bit and it worked as described. Thanks for the guide. but, not being an expert, it's not at all obvious how I'm supposed to pick the "right" one to use. /home/.../truecrypt/Common/SecurityToken.h:43:21: warning: pkcs11.h: No such file or directory"
Ran 'Make' and all the errors disappeard and ended up with a working TC app. If you install the nss-pkcs11-devel package, the required files will get copied over. Although I am not sure whether that package is available on F10 repos. Why bother compiling true crypt when there is realcrypt in the rpmfusion-nonfree-updates repo ? 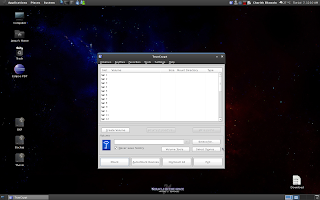 Reacrypt : Based on TrueCrypt, freely available at http://www.truecrypt.org/. Realcrypt is mainly just a rebrand to allow for modifications to take place, functionality remains all the same. Add the repo and "yum install realcrypt"
Just installed on Fedora 12 64-bit. works perfectly! Thanks man, you just saved my day! Works on Fedora 12 (32 Bit). Thanks for the great tutorial! Works on Fedora 12 x64, Thanks a ton!! What's if RealCrypt is simply a rebrand of TrueCrypt to allow modifications, what is the problem with TrueCrypt? Why not just request a change to TrueCrypt itself? Anything else just seems like someone wants to make somewhat dubious changes that might not be for the best in a crypto program. I mean, if they can't get their change past the TrueCrypt development team, is it really something that's needed? Really helpful post - works fine for Fedora 12 too. This guide works for me. I've installed thruecrypt on Fedora 12. Thanks. Looks like you are trying to run make from outside the Truecrypt source folder. Make sure you cd in to the folder created by the tar command before you run make. The "Bad File Descriptor" seems to only be when there is no Internet connection. Any ideas how to resolve this?